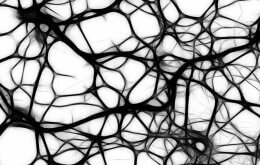 “This new mouse model will impact the way in which future studies examining the organization of neurons involved in walking are performed. We hope that our findings can provide insight that eventually will contribute to treatments for spinal cord injured patients””, says Professor Ole Kiehn, who lead the study. Excitatory neurons have been suggested to play an important role for the initiation and maintenance of locomotion, or walking. However, this has not been demonstrated directly. In order to test the hypothesis that activation of excitatory neurons is essential to locomotion, a research team at the Department of Neuroscience, Karolinska Institutet, created a genetically modified mouse which expresses a light sensitive protein in excitatory neurons. The light sensitive protein, Channelrhodopsin2 (ChR2), is normally found in algae and activates the cell it is expressed in when exposed to blue light. ChR2 has previously been introduced into rodent cells by viral infection, but this can be problematic due to exposure and replication demands. The researchers circumvented the problems by creating the first genetically modified mouse to successfully express ChR2 in a specific set of neurons. By inserting ChR2 into nerve cells expressing Vglut2 – a transporter found in most excitatory neurons in the brainstem and spinal cord as well as many excitatory neurons in other regions of the brain – they created a Vglut2-ChR2 mouse . The reason for doing this was to be able to selectively activate excitatory neurons in specific regions of the brainstem and spinal cord, as the excitatory neurons are believed to be important for initiating locomotion, or walking. The researchers then recorded from motor nerves leaving the spinal cord. When blue light was shined directly on the spinal cord, walking-like activity began and was maintained for the duration of the light pulse. This proved that activation of Vglut2-expressing excitatory neurons in the spinal cord is sufficient for walking. Walking-like activity could also be initiated by exposing the lower brainstem to blue light, demonstrating that excitatory cells in the brainstem provide a sufficient ‘go’ signal to the spinal neurons involved in walking. All the experiments were made in vitro in the laboratory and not in living animals.